The Nile is the world’s longest river at 6,700 km and has long been one of the world’s greatest natural assets. It is a transboundary river shared by 10 African countries (Burundi, the Democratic Republic of Congo, Egypt, Eritrea, Ethiopia, Kenya, Rwanda, Sudan, Tanzania, and Uganda). The Nile River originates from two distinct geographical zones, the basins of the White and Blue Niles and drains an estimated 3.1 million sq. km. Its catchment area covers 10% of Africa’s landmass. An estimated 160 million people live in the basin while 300 million (40% of Africa’s population) live in the riparian countries. The population is projected to increase to 800 million people by the year 2050. Despite extraordinary resources, there is wide spread poverty within the Nile basin with an average per capita Gross Domestic Product (GDP) of US$250. Today, the Nile Basin faces challenges of poverty (5 of its riparian countries are among the 10 poorest in the world), instability (conflicts in the Great Lakes Region, Sudan, and the Horn of Africa), rapid population growth, and environmental degradation. You are very welcome to contact the case study leader if you are looking for more information on the case study in the Nile Basin. Population growth coupled with widespread poverty are key drivers in socio-economic development and this increases pressure on the water resources through increased storage and diversion of surface water, in order to serve the increasing energy and agricultural demands. Effects include ecological consequences like reduction in stream flows, and riparian habitats. In the upstream countries forests are cut down and wetlands drained. Soils are eroded, resulting in reduced crop yields and non-sustainable livelihoods. Groundwater recharge is reduced and levels lowered, river flows become flashier and downstream flood and drought impacts are enhanced. Other stresses include high sediment loads, water quality changes, seawater intrusion and waterweed infestation. In Egypt and Sudan the aspirations of the population and economies are intricately linked with water. The Nile’s transboundary nature touches international political boundaries and involves many decision makers. This coupled with climatic variability, the spatial and temporal distribution of the water resources and the complex social, political and economic status creates challenges to sustainable development. The present conflicts focus on water allocation, which is a source of debate and litigation rather than a forum for cooperation. Sharing the Nile waters gives rise to debate among users with conflicting demands and management preferences. Such tensions in the Nile basin are obstacles to growth and constrain the regional political economy and divert resources from economic development. 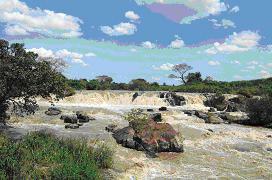 In 1999, the Nile riparian states created the Nile Basin Initiative (NBI). This historic initiative includes all Nile riparian countries and provides a basin-wide framework for cooperation. 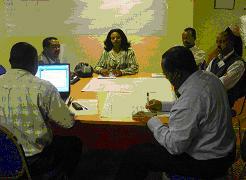 It pursues shared vision development through the equitable utilization of, and benefits from, the common Nile resource. 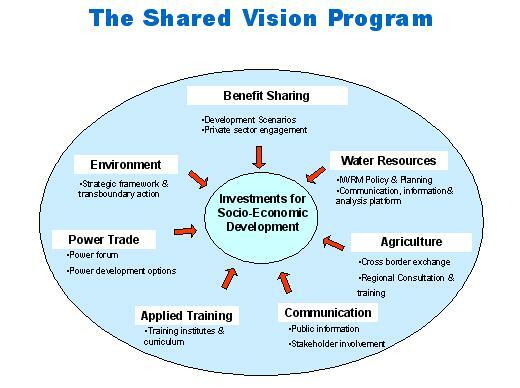 The NBI program consists of two complementary sub-programs: the Shared Vision Program, and the Subsidiary Action Program. The former focuses on fostering an enabling environment for cooperative development, while the latter addresses physical investments at sub-basin level. Most of the Basin countries are burdened by weak human and institutional capacity to manage water resources in an integrated manner. This situation applies not only to the management of international waters but also to the management of national and local waters. Water management within each country is still fragmented between sectors, and there is little integration among various sectors of water use, between water quantity and quality, and between surface and groundwater. Most issues associated with water management in the Nile basin are of a transboundary nature, and need a regional perspective for the identification of solutions. As the population and water use per capita increases, the water stress in the basin is likely to intensify. Water stress leads to water competition which might result in conflicts and even war. This is complicated by the transboundary nature of the conflict, the water agreements made during the colonial era and the perceived disparities in economic and infrastructural development, political and religious orientation. The challenge lies in managing the water resources in ways that reduce the water stress and in creating cooperation and economic development mechanisms that effectively manage the emerging conflicts. The Newater research program for the Nile has been drafted in close consultation with the main stakeholder which is the Nile Basin Initiative. At the highest (political) level this is the NileCom, the Commission of Ministers of Water of nine of the ten riparian countries (Eritrea still has an observer status in the NBI). On project level, the communication is through the NBI secretariat with the NileTac (the advisory committee for the NileCom), the Strategic Vision Program and the subsidiary action programs. For NBI it was important that the Newater research was complementary to the work done by NBI itself. Integration of the important sectors within the Nile Basin (agriculture, hydropower and environment) with water management. Sharing benefits of water management and projects instead of just sharing water resources. Linking water management with spatial planning with emphasis on the transboundary context. Investigating the tension between water allocation and the environment (water quality and ecological flows). Providing access to and insight in the future climate change and climate variability to be expected in the Nile Basin. Ensuring the link with capacity building and training needs for water professionals in the Nile Basin. Spatial planning in a transboundary context (WP 1.4). To facilitate investigations into a system as complex as the Nile Basin and to structure the process of trans-disciplinary stakeholder consultation, the analyses are build upon Waterwise which is an integrated model linking hydrology, economy and ecology. Measures on future land use and water management can be evaluated in close interaction with stakeholders. It provides a simulation platform for exploring a range of strategies and innovative ideas with respect to the socio-economic development in the context of the Nile basin. The results of various alternative (global) scenarios can be understood not only in conventional economic terms, but also in terms of their effects on ecosystem services and human welfare. Results are not only visible for the Nile Basin as a whole, but also for the different riparian countries to support discussions and negotiations on acceptable solutions for spatial planning and water management. Incorporating climate variability and climate change into IWRM. 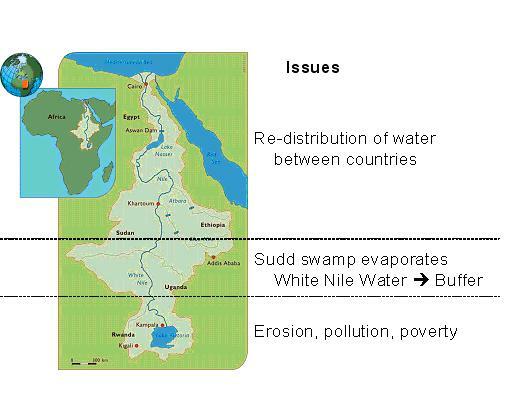 The Nile Basin Region, which is characterized by poverty, instability, rapid population growth, environmental degradation, and economies largely based on agriculture, is one which already suffers from high levels of variability in climate. Complicating factor is the small amount of rainfall resulting in runoff. Analysis of IPCC scenarios for the Nile indicates that the uncertainties are huge. 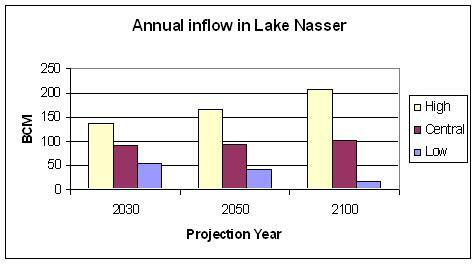 Inflow into Lake Nasser, the main water resources for Egypt (40% of the basin population) could double in this century, but could also be reduced by 75%. 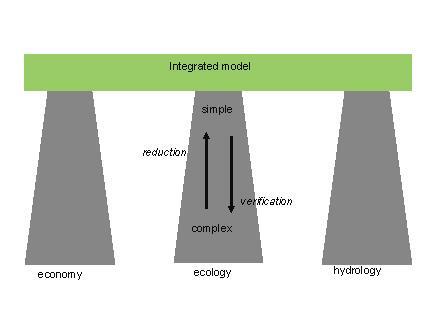 Integration of water quantity and water quality in ecological flow requirements (WP 2.3). Lake Victoria is the natural reservoir on the Equatorial Plateau, receiving the discharges of a large number of (relatively) small rivers. Population pressure and poverty in the region (Rwanda, Burundi, Tanzania, Uganda and Kenya) has resulted in cutting of forests, draining of wetlands, unprecedented soil erosion and discharge of untreated wastewater into the rivers. Euthrophication of Lake Victoria results in water hyacinth invasions and loss of biodiversity. Changed hydrological behavior causes disruptions in hydropower generation and difficulties in Lake transport (shipping). The relations between land use, ecological flow requirements and water quality requirements are established in the research component resulting in simple, general applicable results. Dissemination, training and awareness raising (WB 4) are of vital importance, with a need to strengthen awareness and capacity to undertake IWRM approaches and to integrate them into development plans and management across economic, social and environmental sectors.